Out in support of the tenth anniversary of their seminal and now classic third full-length, Asleep at Heaven’s Gate, Bay Area indie rockers Rogue Wave return to Nashville for the first time in a couple of years tonight, April 6 at Mercy Lounge to play the whole thing in full, along with openers Dear Boy. With a deluxe re-issue also in tow, which includes four previously unreleased tracks as well as a Beatles cover, Rogue Wave aren’t simply pulling a nostalgia grab, but instead are truly paying homage to an important, creatively liberating, and deeply personal entry into their impressive discography- a rare and special event that longtime fans surely won’t want to miss. Tickets are still available right here while they last, so grab yours now and read on for more about the show! Formed in 2002 by frontman Zach Rogue, Bay Area indie rockers Rogue Wave became a staple of the flourishing mid-’00s indie scene with their beloved 2004 debut Out of the Shadow as well as their phenomenal 2005 followup, Descended Like Vultures. Though fans are surely split on their favorite (Vultures especially resonated with my high school self), 2007 third LP Asleep at Heaven’s Gate, their first with Brushfire Records after a tenure at Sub Pop, marked a monumental point in the band’s creative and commercial rise, fueled by some of their strongest and most effective songwriting (“Like Michigan” remains one of the group’s most recognizable tracks), the height of their creative ambition (it was originally conceived to be a double album), and a widespread resonance which boosted their audience and helped set the template for the decade of touring and additional great records to follow. Though Rogue Wave have stayed active, releasing their last original full-length, Delusions of Grand Fur, in 2016, and an album of ’80s covers, Cover Me, last year, they recently opted to re-release a 10th anniversary edition of Asleep, complete with four bonus tracks (all of which they regretted not originally including) and an inspired cover of The Beatles’ “All You Need Is Love.” Out in support of the seminal album and its lovingly and meticulously crafted re-release, fully re-mastered and featuring new artwork, with the band involved at every step, Rogue Wave will be performing the whole thing in full in concert, along, of course, with some additional favorites from their other great releases. They’re not a band who seem to cash in on nostalgia for nostalgia’s sake, so you can be sure that this unique tour will be worth the trip down memory lane. Taking inspiration from both ’80s post-punk and ’90s Britpop, LA alt rockers Dear Boy craft the kind of moody, transcendent, layered songs we can’t get enough of. The band generated a respectable amount of hype with their 2016 sophomore effort Parts of a Flower, and have recently been springing back onto the blogosphere with some of their strongest singles yet, hinting at more exciting things to come. They’re a bit more retro and moody than Rogue Wave’s indie sound, but they’re still a great musical compliment and a strong reason to be punctual. 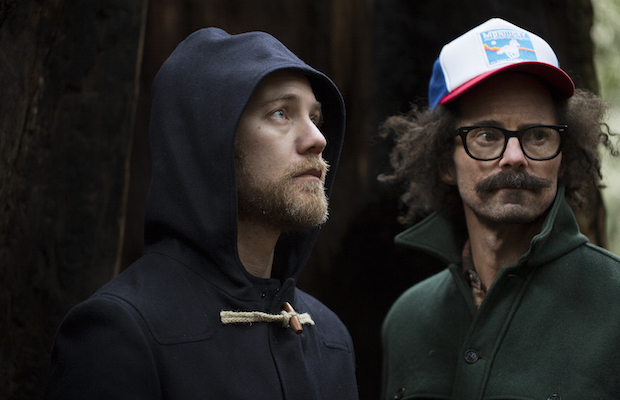 Rogue Wave and Dear Boy will perform tonight, April 6 at Mercy Lounge. The show is 18+, begins at 9 p.m. (doors at 8 p.m.), and tickets are available to purchase for $20.